In just about two weeks a new collection of charms from the Disney Parks Collection by Pandora will make their debut in the Disney Parks. 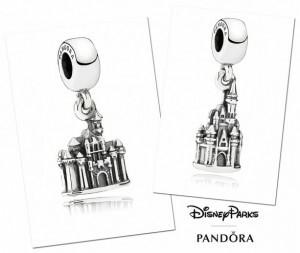 The charms include two charms inspired by Sleeping Beauty Castle at Disneyland and Cinderella Castle at the Magic Kingdom. 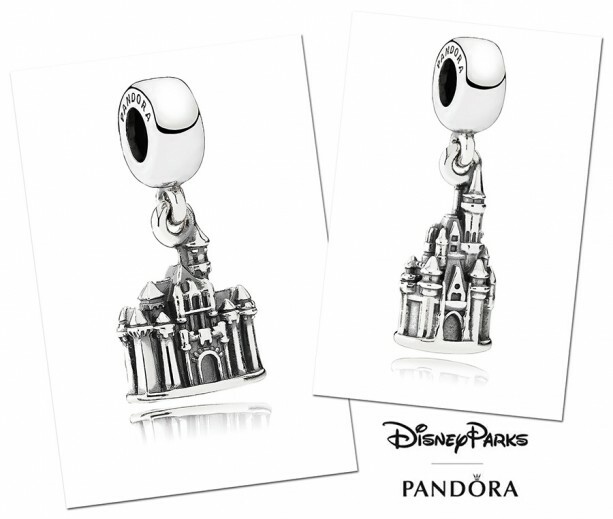 Both are “dangle” charms and feature the resort’s name on the bottom of the castles. The new collection also includes a sterling silver charm featuring Mickey’s Fun Wheel from Disney California Adventure and a sterling silver charm that looks like Spaceship Earth from Epcot. There’s also a new Minnie Mouse-inspired charm featuring red, yellow, black, and white enamel. Another new addition is a safety chain featuring Mickey and Minnie Mouse icons. The Pandora collection can be found at Uptown Jewelers at the Magic Kingdom and La Mascarade d’Orleans in Disneyland. The charms can also be found at the Disney Parks online store. Additional charms are available at Pandora stores nationwide. These new charms arrive in Disney Parks on March 12.